Sri Ramachandra Memorial University conducts Sri Ramaswamy Memorial University Joint Engineering Entrance Examination (SRMJEEE) to offer admissions to interested candidates in its BTech programmes. SRM University also conducts SRM Joint Engineering Entrance Exam (SRMJEEE) through which it offers admissions to candidates in programmes such as BArch, MTech, MBA, MCA as well as health sciences. Candidates can appear for SRMJEEE either through the paper-pencil mode or even as a computer based exam. But, candidates who wish to secure admissions in MCA, MBA and MTech through SRMJEEE can only give this entrance exam as a computer-based test. 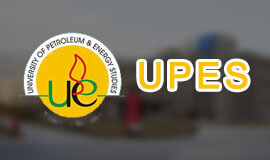 The exam will be held only in the online mode according to the official website of the University. 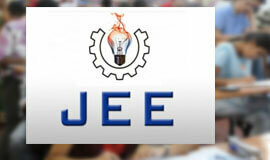 Candidates can opt to take SRMJEEE as a computer based test or even as pen paper test. Be a two hours thirty minutes duration examination. Have a total of 140 questions. Be in multiple choice objective type format. The question paper for the exam will be divided into four sections. Each section will have questions from different subjects like Physics, Chemistry, Biology and Mathematics. SRMJEEE exam question paper will have 35 questions each for Physics, Chemistry and Mathematics whereas a total of 50 questions will be asked from Biology. 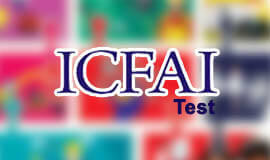 Marking : In this entrance exam, candidates will be awarded three marks. But for every wrong answer in the Physics, Chemistry and Mathematics section, one mark will be deducted from the candidates total whereas only 0.7 marks will be deducted for wrong answers in the biology section. So, if a candidate wants to make it to the cutoff for SRMJEEE then they need to avoid answering any questions wrongly. The syllabus for SRMJEEE is mostly from Class XI and Class XII topics studied by candidates in their Board or equivalent examination. Candidates who are applying for admission in UG programmes in Health Sciences need to attempt the Physics, Chemistry and Biology section questions and those seeking admission in Engineering programmes need to attempt only Physics, Chemistry and Mathematics sections of the SRMJEEE question paper. 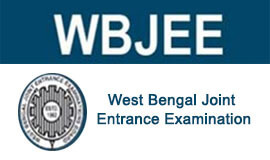 The SRMJEEE test centres are different for the CBT and the paper-pencil exam. Applications of Matrices and Determinants. Mathematical Induction and its Applications. Binomial Theorem and its Applications. Straight Lines in Two Dimensions. Conic Sections in Two Dimensions. Measures of Central Tendency and Dispersion. Gravitation, Mechanics of Solids and Fluids. Ray and Wave Optics and Magnetism. Dual Nature of Matter and Nuclear Physics. Surface Chemistry, Chemical Kinetics and Catalysis. Modern Genetics and Animal Biotechnology. Have cleared their 10+2 from a board/institution which is recognised by the state or central education board. Have studied Physics, Chemistry and Mathematics as subjects in their 10+2. Have secured a minimum aggregate of 70% in the qualifying examination. Are Indian nationals who have completed the last two years of their schooling in India. 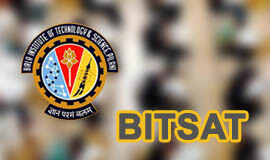 Eligibility Criteria for SRMJEEE also states that candidates will only be considered for admission on the basis of their SRMJEEE score as well as rank. Candidates will be called for SRMJEEE counselling only on the basis of the rank they have managed to get. The counselling for SRMJEEE will be held at the SRM University premises in Kattankulathur, Chennai. 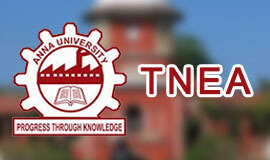 • Candidates can apply for SRMJEEE exam online on the official website of SRM University. • Candidates can apply for this entrance exam online by paying the application fee through credit card/debit card/net banking. 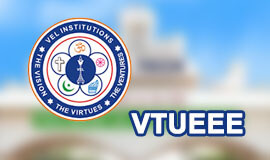 In case of a pre-paid application, aspirants can apply for the exam online by using ‘Unique Voucher Code’ which is found in the scratch card. • Candidates can download the SRMJEEE application forms from SRM University’s official website and apply for the exam through this form. • Applicants need to fill all their details on the online portal. After this, they need to download and thereafter take a printout of the application form, This downloaded form then needs to be duly signed and sent to SRM University along with a DD drawn in favour of SRMIST and is payable at Chennai. • Candidates can purchase their SRMJEEE application form in-person from various branches of banks like Axis, City Union Bank, Indian Bank and Karuru Vyasa Bank. • Candidates can even purchase the application forms from select post office branches as listed at the official website of SRM University. 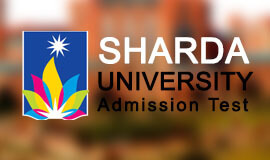 • Candidates can even write to ‘Director Admissions’ at SRM University to receive the entrance exam application form. Candidates are advised to go through a set of detailed general instruction which are listed on SRM University’s official website. 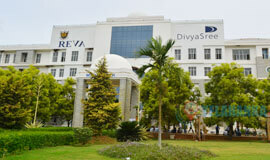 Get more information about the fee charged for different BTech courses at SRM University here. The results for SRMJEEE are usually declared in the month of May.